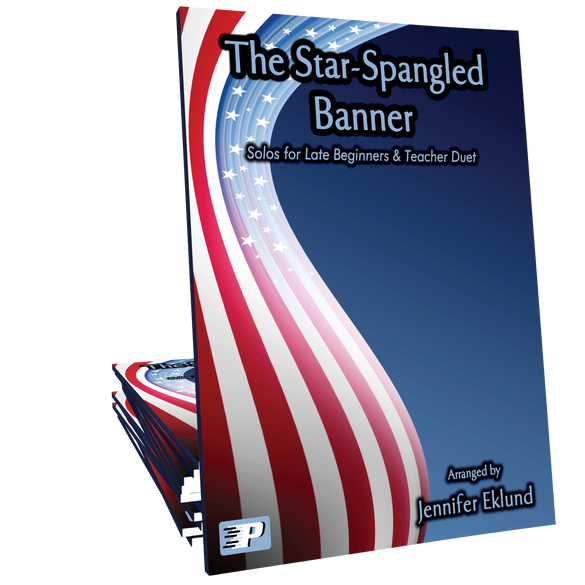 The Star-Spangled Banner pack includes two piano solo versions for late beginners and a teacher duet accompaniment part. Perfect song to open your next recital or event! Arranged by Jennifer Eklund.